Right wing of the diptych Virgin and Child Surrounded by Angels by Jean Fouquet, c.1450. Wood, 93 x 85 cm Royal Museum of Fine Arts, Antwerp. Yukio Mishima once wrote about a picture of St. Sebastian whose ‘only purpose had been to lie in wait for him’. Whilst I disagree with Mr Mishima about many things- for example, the irrelevance of women, the need for emperor worship, the advisability of staging a coup -I did feel ambushed when I saw this on the cover of a book about 15th Century European painting. The angels’ faces are sullen, threatening. I don’t know if the angels are red and blue because they represent different types, or if this is just for visual impact. 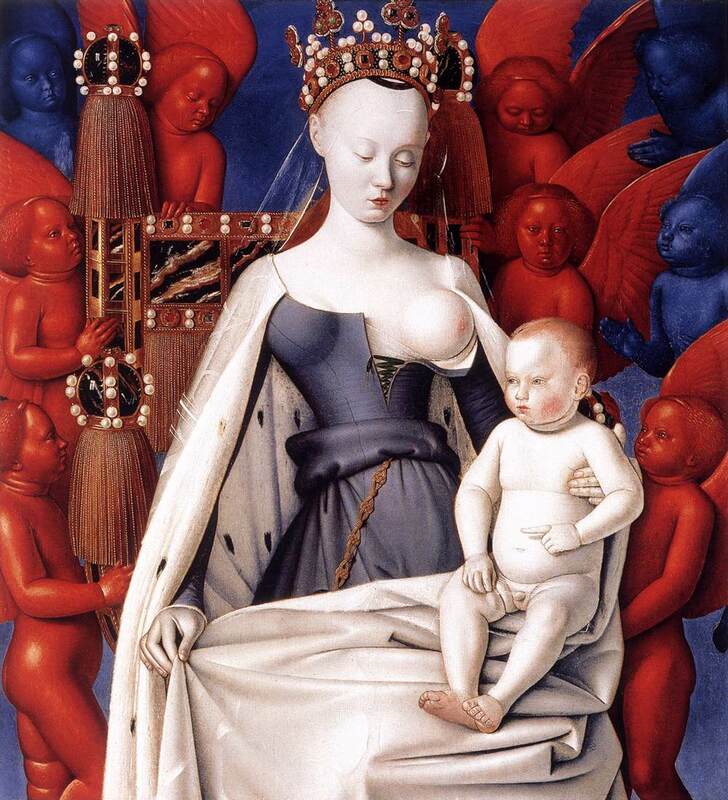 As for the enthroned Virgin, she is said to be modelled on Agnès Sorel, mistress of Charles VII, who died of mercury poisoning aged 28, and whose cousin took her place after her death. 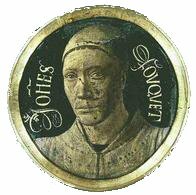 As for Mr Fouquet (1420–1481), he is thought to have been the inventor of the portrait miniature.